Summary: "Held captive in the barbarian kingdom of Venda, Lia and Rafe have little chance of escape. Desperate to save Lia's life, her erstwhile assassin, Kaden, has told the Vendan Komizar that she has the gift, and the Komizar's interest in Lia is greater than anyone could have foreseen. Meanwhile, nothing is straightforward: There's Rafe, who lied to Lia but has sacrificed his freedom to protect her; Kaden, who meant to assassinate her but has now saved her life; and the Vendans, whom Lia always believed to be savages. Now that she lives among them, however, she realizes that may be far from the truth. Wrestling with her upbringing, her gift, and her sense of self, Lia must make powerful choices that will affect her country... and her own destiny." Summary: "Ellen O’Farrell is a professional hypnotherapist who works out of the eccentric beachfront home she inherited from her grandparents. It’s a nice life, except for her tumultuous relationship history. She’s stoic about it, but at this point, Ellen wouldn’t mind a lasting one. When she meets Patrick, she’s optimistic. He’s attractive, single, employed, and best of all, he seems to like her back. Then comes that dreaded moment: He thinks they should have a talk. Braced for the worst, Ellen is pleasantly surprised. It turns out that Patrick’s ex-girlfriend is stalking him. Ellen thinks, Actually, that’s kind of interesting. She’s dating someone worth stalking. She’s intrigued by the woman’s motives. In fact, she’d even love to meet her. Ellen doesn’t know it, but she already has." 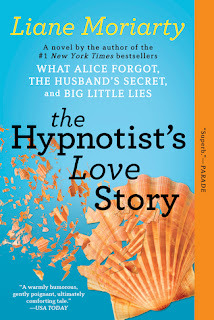 Mini-review: For not being into hypnotism or love stories, I actually really enjoyed this book. I must say right off the bat, though, I really dislike the bland title and cover image. I feel like it does nothing to sell this story, or even convey what it's about. This book is actually quite deep and both emotionally and mentally engaging. While Big Little Lies is still my favorite of Moriarty's books, this one was still equal parts entertaining, interesting, and satisfying. And even a little bit scary, actually. Recommended. 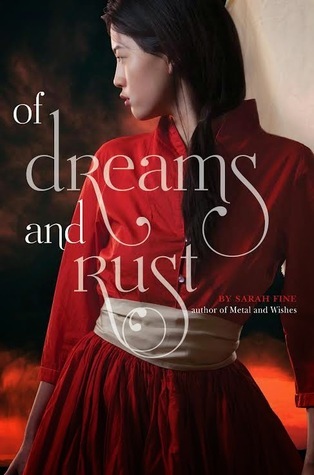 Summary: "War erupts in this bittersweet sequel to "Of Metal and Wishes", inspired by The Phantom of the Opera and called “relentlessly engrossing” by The Romantic Times. The Noor are waging a rebellion in the west. 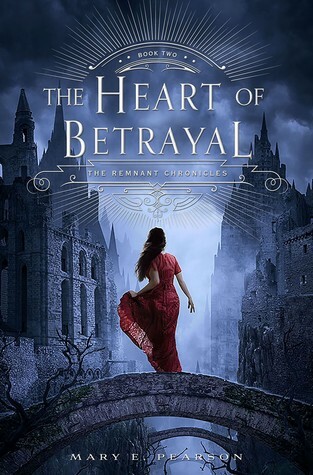 When she overhears plans to crush Melik’s people with the powerful war machines created at the factory, Wen makes the painful decision to leave behind all she has known—including Bo—to warn them. But the farther she journeys into the warzone, the more confusing things become. A year of brutality seems to have changed Melik, and Wen has a decision to make about him and his people: How much is she willing to sacrifice to save them from complete annihilation?" Mini-review: I really, really, really liked Of Metal and Wishes, and was really looking forward to this sequel. But I ended up getting really frustrated with Wen's spinelessness in this story. Where was the girl from the last book? Where was her courage? Her bravery? This might have been a case of too high expectations on my part, because despite my disappointment I still blew through the whole thing. But it's still nowhere near OM&W. I really need to read Pearsons books. Maybe if I read them now. I'll be ready to go for book three. 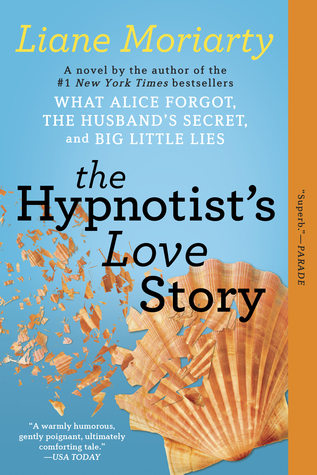 I want to read The Hypnotist's Love Story. I love Moriarty's books. Oooohh, Pearson's books are so addicting. I am so excited for book 3. If you love Moriarty's other books, then I think you'll really like THLS. I think this is one of her more under the radar books, but it's up there with her other really popular books in terms of entertainment and intrigue, I think.